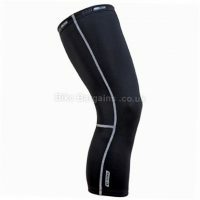 Cheap Knee Warmers - no more cold knees when cycling! 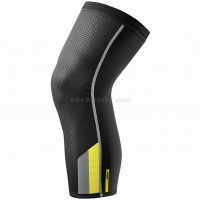 Knee Warmers, as the name suggests, are stretchy tubes of material which are worn over the knees, to provide warmth on colder days. Sizing is pretty important, as too big and they’ll ride up or fall down your leg, and too tight and they’ll be uncomfortable and energy sapping to ride in. Some models come with features such as waterproofing, thermal properties; others just merely windproof. 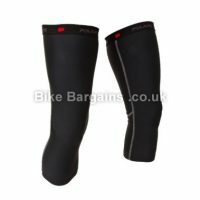 Unfortunately I don’t tend to find as many knee warmer deals as I do for similar garments, such as arm and leg warmers, but any I do find will be listed here, complete with sizing, colours and intended usage.